Thankfully the weather has given us the break we needed to start the bike path work. Our plan is to close the path at 7:00AM Monday, 2/27 at which time shuttle service will start. The locations for shuttle pickup and dropoff will be a section of the parking area on S Novato Blvd and the far east end of Entrada; see Google maps attached. The shuttle schedule will run from 7:00AM to 11:00PM Monday, 2/27 and then from 5:00AM to 11:00PM daily for the two week closure period which is scheduled to end on 3/12. After the full closure period, the shuttle will run weekdays from 7:30AM to 5:00PM for approximately 2 additional weeks for the path work to be completed. During this time the path will be open after hours and on weekends. 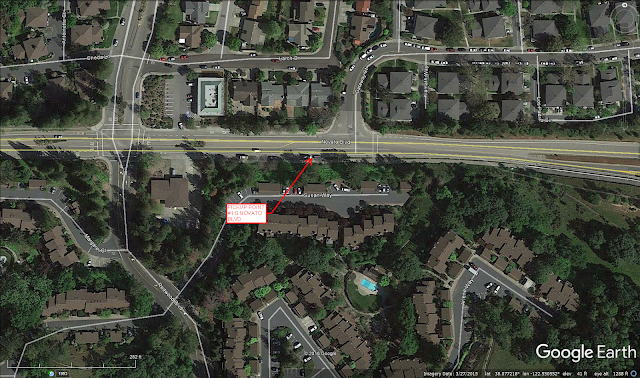 Mainline installation will continue on Redwood Blvd starting near Seascape Dr and heading South. There will also be a small crew working on Redwood Blvd near Corinthian Ct for approximately 2 days. Bike path work will start on Monday as well. There are more details posted in the post above. Potholing operations will continue throughout the alignment. Mainline installation is planned to start Monday morning near Costco and headed North on Vintage Way. There may be a second crew starting mainline installation north of the bridge on Rowland Way, but that has not been finalized yet. A small crew will also be working on installing mounting brackets on the bridge on Rowland Way. Mainline installation will start on the South side of the bike path on Redwood Blvd. Based on the current forecast, this probably won't start until mid-late week though. A smaller crew will be working on Redwood Blvd on the North side of the bike path installing services and appurtenances. Potholing operations will continue near Vintage Oaks and Rowland Way. We are hopeful that mainline installation will also start near Costco and head North on Vintage Way. This is also weather dependent, but looks likely for mid-late week. We need to postpone the closure of the S Novato Blvd Bike Path again due to weather. We are targeting 2/27/17 as the start of closure, but that is still weather dependent. Stay tuned as we will continue to update the blog as we get closer. 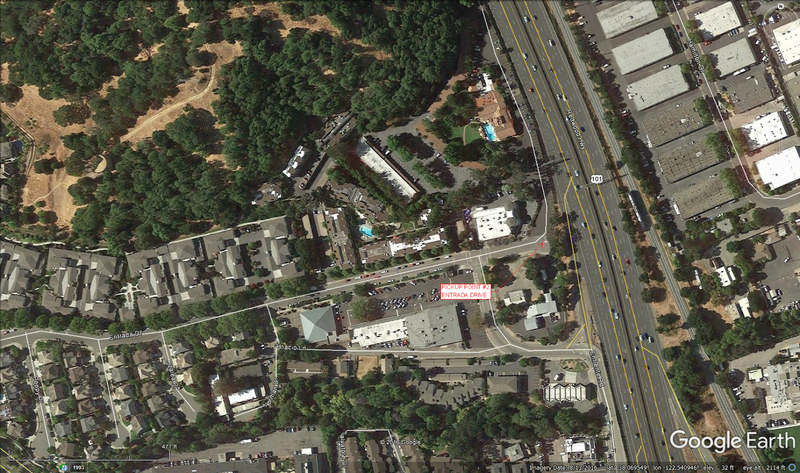 Pipeline installation on Redwood Blvd is scheduled to start back up on Monday. There will be some work taking place at the base of the bike path that connects Redwood Blvd starting Tuesday or Wednesday and should last 1-2 days. The path will remain open, but there may be some brief delays. Once that is complete, operations will then shift to Redwood Blvd on the south side of the bike path and working toward S Novato Blvd. There will be some potholing taking place near Vintage Oaks on Monday and Tuesday. Pipeline installation will start on Wednesday near Costco and head North on Vintage way. Based on the current forecast, the bike path closure will be postponed and is scheduled to start 2/21/17. This start date is again weather dependent and we will keep you posted as we get closer to the start of work. Work on the west contract has been slowed due to rain. Once there is a break in the weather, they will get back to mainline pipe installation on Redwood. Pipe will be installed to the base of the bike path that connects Redwood. For the couple of days that work is taking place in that area you should expect minor delays, but the path will remain open. Once the pipe is installed at the base of the path, we will jump ahead to the other side of the path and continue installation in the roadway along Redwood Blvd. On the east side, there will be a small crew potholing near Vintage Oaks. Potholing will continue into next week as well. If the rain lets up, mainline installation should start later next week near Costco. Based on the weather forecast for next week, the bike closure will be postponed. We are now looking at a 2 week closure starting 2/13/17. But again, that date is weather dependent. Stay tuned for more details as we get closer.